When it comes to Matched Betting, you will most likely want to choose between either Betfair or Smarkets. This article is a Betfair Review to help you learn about what it has to offer. Betfair are the most biggest and most popular betting exchange in the world. In 2016, they merged with Paddy Power, creating the biggest betting company out there. Betfair are an extremely strong choice for laying your bets when Matched Betting, because it's extremely simple to use. It's also extremely reliable and has great market depth. Betfair's website is extremely simple to use and navigate, which can be very helpful in the early stages of your Matched Betting or trading journey. The search bar at the top enables you to quickly and easily find the particular betting market that you're looking for, and the menu on the left makes it simple to navigate through specific sports, leagues and teams. This is one of Betfair's strongest points. This exchange is extremely reliable. 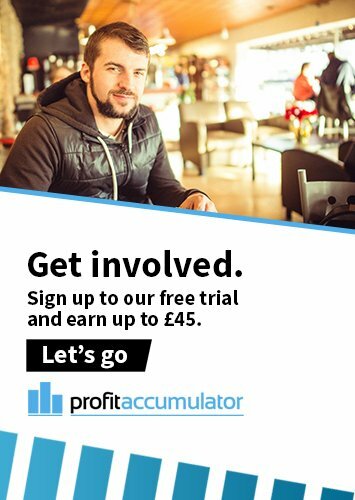 When you're Matched Betting or trading, the last thing you need is for the website to go down right as you're about to place your lay bet. In our experience, Betfair's website almost never goes offline, which makes it a very solid choice to use as your primary exchange. Another major selling point of this betting exchange is its market depth. Betfair has markets for practically anything you can think of; certainly the most comprehensive range of any other betting exchange, and most bookmakers aswell. All of the major sports for matched betting are covered in full depth (football, horse racing, golf, tennis, cricket, basketball and american football), and it has an extremely wide range of betting markets available within those sports and within games. Betfair charge a 5% commission rate on your net profits from bets using the exchange. However, the odds are so compettitive due to the sheer popularity of the exchange, which means even with their commission you're getting good odds. Betfair is a key tool in the arsenal of any matched bettor. We highly recommend that you use both Betfair and Smarkets when appropriate as part of your matched betting toolkit.